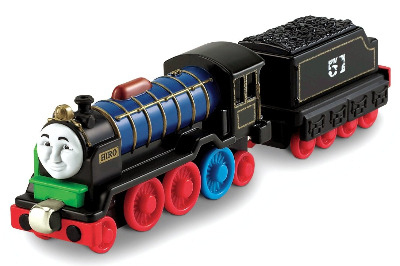 Hiro is painted black with gold bands and fittings and red wheels. His name is written in black on gold nameplates on his smoke deflectors. He has the number "51" painted on the sides of his tender in white. His "patchwork" color scheme consists of some blue, green, purple, and rust colored parts.